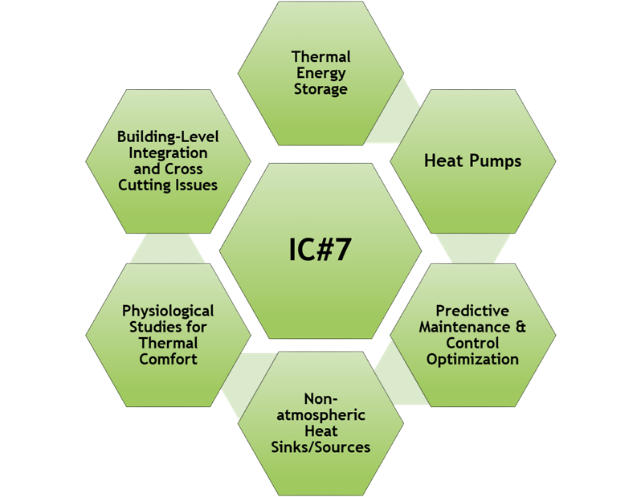 The objective of IC7: Affordable Heating and Cooling of Buildings is to make low-carbon heating and cooling affordable for everyone. Globally, buildings account for almost a third of final energy consumption, with space heating and cooling, and the provision of hot water, accounting for approximately half of this consumption. For new and existing renewable heating and cooling technologies, innovation is required to improve competitiveness, efficiency, reliability and the potential for integration within energy management systems. This requires cross-border and cross-sector collaboration between Mission Innovation (MI) governments, private investors and research leaders. Ultimately, international collaboration will bring the best methods of affordable, low-carbon heating and cooling solutions to the global market as quickly as possible. Our second newsletter describes some of the collaborations taking place in delivering our objective. We hope you might already be involved in some of this work but if not please consider getting in touch with us to find out how you might be able to benefit. The Global Cooling Prize, launched in Delhi in November 2018 by the Indian Government and the Rocky Mountain Institute, has received support from businessman Sir Richard Branson. 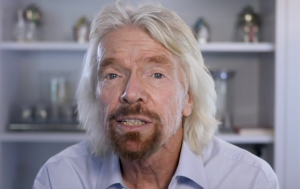 Sir Richard said “there are millions of bright minds that I believe could bring a solution to our global cooling challenge”. The $3M #GlobalCoolingPrize aims to spur the development of technologies with 5x less climate impact than air conditioners being sold today, a vital innovation needed to help limit global CO<sub>2</sub> emissions. The prize competition is designed to develop solutions for non-air-conditioned buildings that do not use highly potent refrigerants and consume dramatically less energy yet provide consumers with the cooling that they need. 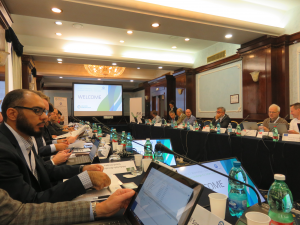 Bringing together all 25 MI countries and MI partners (IEA, IRENA, WEF, WEC, UNIDO), the MI gathering in Santiago in January provided a great forum to discuss the latest MI progress and prepare for the next MI Ministerial (MI-4, Vancouver 27-29 May 2019). Several new initiatives were discussed including the launch of a Champions programme and the signing of the Breakthrough Energy Europe agreement – providing investment in Africa to tackle the major global issues of the 21st century. New ideas to strengthen ongoing activities were discussed including Global Sustainable Energy Innovation Fund and piloting a Multilateral Call for cooperative R&D projects. IC7 will be represented at the MI-4 ministerial meeting with a public-private roundtable on the topic of ‘’Scaling and Financing Sustainable Cooling Solutions’’. The proposed co-chairs for this roundtable, EC and UAE, also confirmed their readiness to lead on this effort. More information on all MI-4 activities to follow! The “Comfort and Climate Box” (CCB) is a new idea for heating and/or cooling, integrating energy transformation, storage and control. It was initially conceptualized during the first IC7 workshop, in Abu Dhabi, in Nov 2017. The CCB concept provides integrated heating, cooling and energy storage at the same time as working with a smart energy grid. It is conceived to receive multiple inputs of energy sources and using these to meet heating, cooling and power demands in the most optimal way (be that lowest carbon, lowest cost or lowest impact on the electricity grid). The CCB fits well with IC7 objectives and the concept is being progressed in collaboration with the International Energy Agency (IEA), as part of the IEA Technology Collaboration Programmes (TCPs). 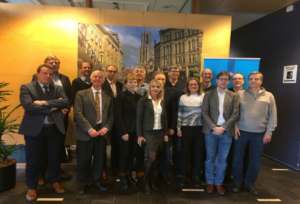 A kick-off workshop for the CCB, organised jointly by two TCPs of the IEA (Heat Pumps and Energy Storage), took place at the Office of Rijksdienst voor Ondernemend (RVO) in Utrecht. 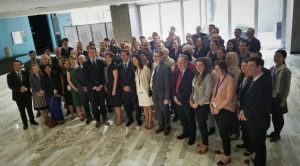 The meeting was opened by Teun Bokhoven, Mission Innovation co-leads Piero de Bonis and Pietro Menna from the European Commission and Martine Roza – Ministry of Economic Affairs, The Netherlands. Seven countries participated including Austria, Canada, Germany, the Netherlands, Switzerland, Sweden, UK, as well as the EC and the IEA. The workshop framed the scope and goal of the CCB. It was agreed that as well as providing integrated heating, cooling and storage, the CCB concept should be smart grid ready. It should also focus on systems that will be commercially attractive for manufacturers and customers by virtue of their affordability, size and quality, as well as having an exciting brand/ image. The goals agreed are to develop and disseminate knowledge, evaluate prototypes and coordinate field tests involving CCBs in existing buildings. The Annex will act as a coordinating body for CCB projects and will capture R&D activities from each participating country and disseminate outputs. The priority area of Predictive Maintenance and Optimization (PMO) focuses on correcting inefficient building operation and control by using knowledge of building physics along with Information and Communications Technologies (ICT) and data science methods to analyse building data and develop methods to improve building operation and energy efficiency. 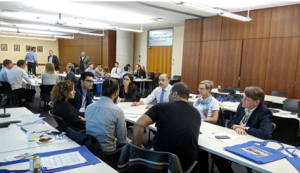 A PMO Research Planning Workshop was organized by Natural Resources Canada and hosted by Concordia University in Montreal, Canada, on September 27-28, 2018. Representatives from Australia, Canada, Italy, Japan, Netherlands, Sweden, UK and US participated in the workshop. How to get involved with IC7 and any of our 6 Priority areas? 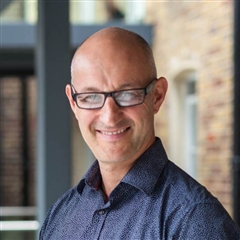 IC7 is about investigating low carbon heating and cooling of buildings with the aim to make low carbon heating and cooling affordable to everyone. It has 23 Project themes within 6 Priority Technological Areas, as shown below. We welcome any involvement with any of priority areas, as well as news items, announcements, etc for inclusion in future newsletters.